Along with budgeting and seeking public support, determining priorities is an essential element of weed-control strategy. This article considers natural vegetation and does not deal with weeds in irrigated crops. Cost effective weed management focuses resources on the most dangerous species and the most valuable sites. 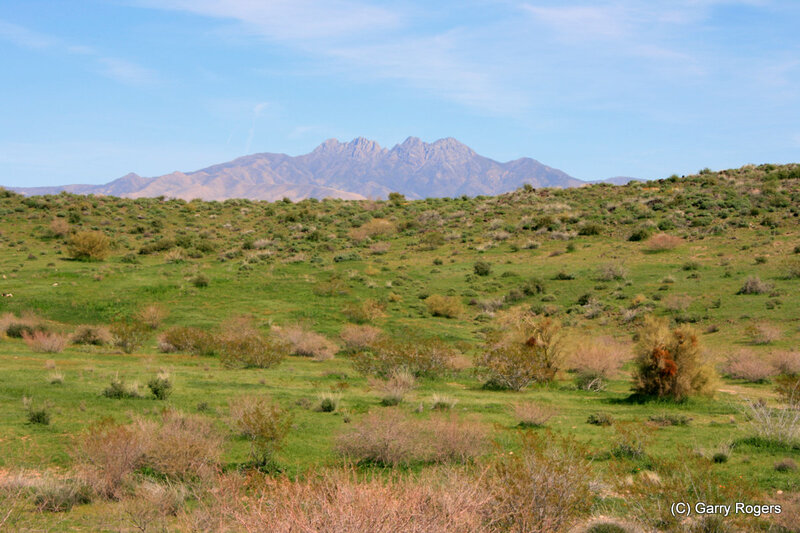 Less than 10% of the hundreds of native and introduced alien weed species present in deserts will invade native vegetation. Many invasive species have little impact when they do. Because of financial limitations, this has prompted greater emphasis on passively monitoring weed infestations to learn whether they will cause problems. Prioritization equips weed managers for immediate response when aggressive species appear. Locating information on the ecology, distribution, and control of weeds requires literature searches for each species. Though the information produced by the searches is variable and may not cover local conditions, it provides a first approximation of the relevant characteristics and control treatments for species that are present. Species distribution information by country is available online from the Global Register of Introduced and Invasive Species (http://www.griis.org). 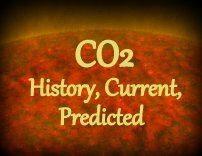 The risks are uncertain for many species, populations, and places. And even after weed managers learn a species’ characteristics and the conditions of a site, a significant level of uncertainty remains. Environmental fluctuations, land-use changes, and species adaptations require frequent adjustments of prioritization systems. 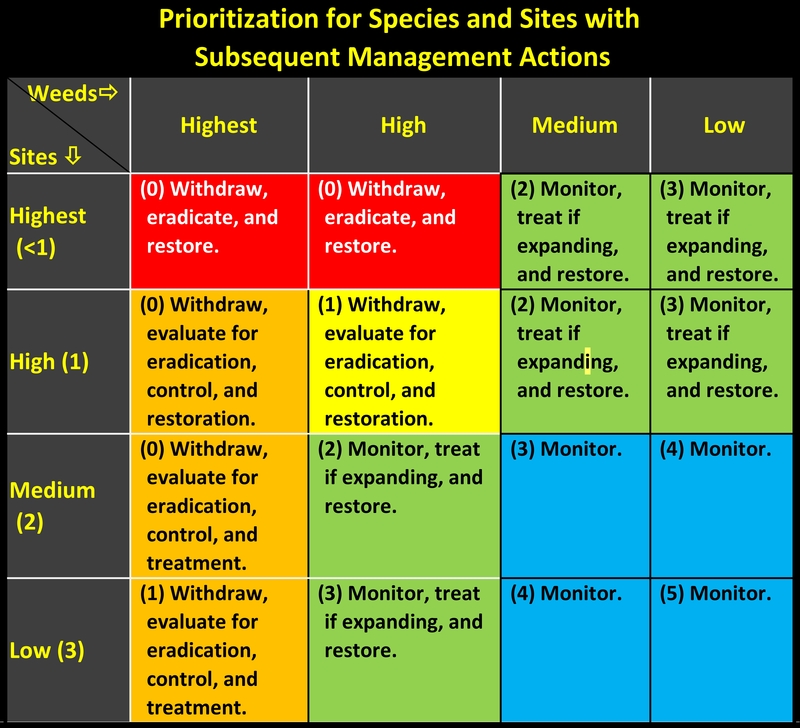 According to Rew and Pokorny (2006), the ideal prioritization system combines weed and site ranking integrating ecological knowledge of species with site conditions, and adjusts with observed results of treatments. Species information is often be useful across regions, but every site requires direct observation. Here is a sample recipe for the process. First, divide large or complex sites into homogenous Weed Control Areas (WCAs) aligned with administrative or environmental boundaries. Next, use information from an initial inventory to subdivide the WCAs into Weed Control Zones (WCZs) based on weed distribution and planned treatments. Use the site categories outlined below to rank the WCZs. Hobbs and Humphries (1995) propose four categories of management action based on resource value and the level of site disturbance. Thus, parks, wilderness areas, critical habitats, etc. are in the highest category. Desert streams and riparian areas play such an important role in arid ecosystems they have high value even though they are at high risk of invasion. Besides providing critical habitat, riparian vegetation occupying floodplains is an important natural shock absorber that reduces flooding, erosion, and sediment transport. Upland sites that are relatively undisturbed, where entry pathways are controllable, and few weeds are present. Moderately disturbed perennial stream segments with riparian vegetation on either bank that extends over 20-m laterally from the center of the stream channel. Weeds are a minor part of the vegetation. Entry pathways are limited, and managers can control human-caused disturbances from recreation and livestock grazing. Applies to hydrophytic shrub, woodland, and gallery forests in wildernesses and monuments. Such streams are rare and may no longer exist. Maintain weed-free by eradicating existing and new weed populations. Prevent disturbances and weed establishment by altering land use, managing access, and conducting frequent monitoring and rapid response to eliminate new populations. Restore native vegetation to increase invasion resistance and stabilize floodplains. Highest priority areas include national parks, species and habitat conservation areas, research reserves, other important natural areas. Upland sites moderately disturbed and susceptible to invasion. Moderate to highly disturbed ephemeral stream segments with patches of native riparian vegetation extending more than 20m from either side of the stream. Weeds may be abundant. 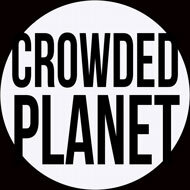 Apply this category only if access and human disturbances such as hiking and livestock grazing are controllable. Examples: willow thickets and hydrophytic woodland and gallery forests in parks and conservation areas. Image: Highly disturbed site with heavy weed infestation. Wide (>20m) riparian vegetation also highly disturbed and infested. Human disturbances are controllable.This is a perennial stream of critical importance for wildlife, but weed control is unlikely (photo by GR). Manage weeds by eradicating high-priority species and controlling others. Limit weed introductions and establishment by managing access and altering land use to eliminate disturbances. Restore native vegetation in treated areas. High priority areas may include boundary areas next to highest priority areas. Upland sites of subject to frequent disturbance including livestock grazing, wood gathering, and recreation. 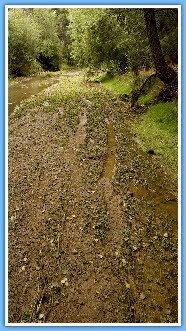 Highly disturbed ephemeral stream segments with narrow (<20m) bands of riparian vegetation at least 20m long measured along the mean course of the stream. Human access and disturbances such as recreation and livestock grazing are controllable. Image: Highly disturbed site with heavy weed infestation. Wide (>20m) riparian vegetation also highly disturbed and infested. This is a perennial stream of critical importance for wildlife, but weed control is unlikely. Monitor likely areas and control high priority weeds. Poorly accessible upland areas lightly grazed by livestock and ephemeral stream segments outside high-value management units fit this category. Repeatedly burned, heavily grazed, almost total weed cover. Former diverse woodland lost. Restoration would be difficult and very expensive (GR). Upland sites subject to high levels of disturbance. These sites have so many weeds that restoration of native communities is unlikely. Roadways and transmission rights of way fit this category well. Hobbs and Humphries (1995) recommend that these sites receive no action. Ephemeral stream channels with discontinuous riparian vegetation occurring in segments <20m. These sites are of higher concern when they contain high-priority species. Monitor likely areas for new weed invasions and control high-priority weeds. After initial inventories, analyze each WCZ using criteria in the prioritization table below and place it in a Management Priorities List. The Management Priorities List denotes the order and principal categories of management action and forms a core element of the regional weed management plan. Many countries have developed prioritization systems and have weed management plans in place. I prepared the table below to illustrate the issues involved, not serve as a working system. Table Explanation: Following initial inventories, this table uses species and site prioritization to guide monitoring, and treatment. Numbers in the left column show the minimum search frequency in years to detect new infestations. Highest-priority sites receive two or more visits each year because some species germinate throughout the growing season and others germinate during spring or summer. Numbers in cells (not including the left column) indicate the recommended frequency in years for monitoring of existing infestations. The “0” in the cells for highest and high priority sites and the weed designations “Highest” and “High” show rapid response instead of monitoring. The seasonal timing of observations should follow maturation of the weeds. For weeds that germinate throughout the growing season, this would be autumn. The term “withdraw” indicates intervention to limit human disturbances. Monitor sites in the cells at lower right to detect appearances by high-priority species. Depending on resources and proximity to high-value sites, managers might eradicate such species. Byers, J. E., et al. 2002. Directing research to reduce the impacts of nonindigenous species. Conservation Biology 16: 630-640. Hobbs, R.J. and Humphries, S.E. 1995. An integrated approach to the ecology and management of plant invasions. Conservation Biology 9: 761-770. Rew, L. J., and M. L. Pokorny, eds. 2006. Inventory and survey methods for nonindigenous plant species. Montana State University Extension Service, Bozeman, MT. 75 p.
This entry was posted in Weeds and tagged Invasive Species, Prioritizing Weeds, Weed-Management by GarryRogers. Bookmark the permalink.